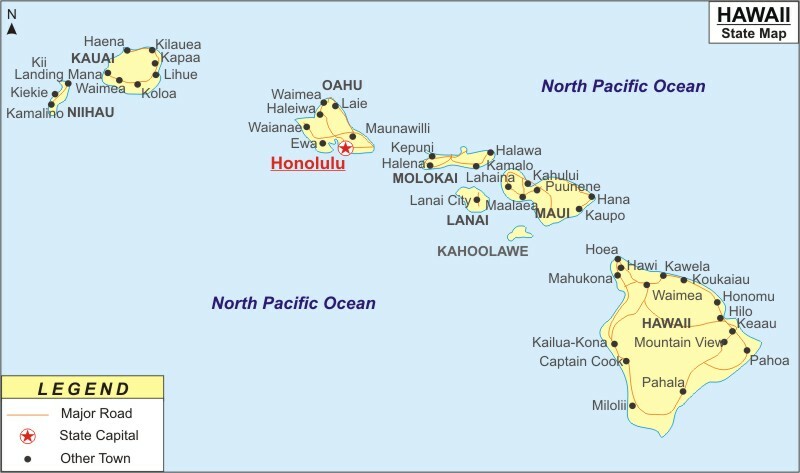 About Map: Hawaii Map showing the capital, state boundary, roads, rail network,rivers, interstate highways, major cities and towns. Interstates include: H1, H2 and H3. State Road 11, State Road 19, State Road 30, State Road 31, State Road 50, State Road 56, State Road 72, State Road 83, State Road 93, State Road 130, State Road 190, State Road 200, State Road 270, State Road 360, State Road 440 and State Road 450.